That's Just My Thoughts: Lea Michele Releases 3rd Track off Debut Album "Louder"
Lea has had a tough past year, and I not only admire her strength, but encourage others to take note of it. She seems to have taken everything she’s been through and put it into her music. The power of her message in the lyrics reminds me a little of Katy Perry, and the emotional feel of and connection with each song shares a small liking with Demi Lovato... all good things. The first single released, “Cannonball,” did take me a couple of listens to fully appreciate how amazing the song was. 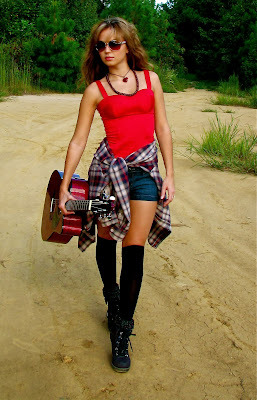 With lyrics like, “...scared to death I was losing my mind” and “...think I found the light at the end of the tunnel,” you hear the struggle but can also clearly feel her strength. The powerful ballad “Battlefield,” with a simple piano accompaniment, really showcases Lea’s vocal range and ability to convey her most personal and true emotions. On Glee, she may play a character... she is a actor... but in this song, I have no doubt the emotions are hers and are nothing short of being absolutely genuine. I was completely drawn into this song. Many songs (and albums) entertain us, but few inspire us... empower us... and change us. Lea Michele’s Louder will be the latter. If the first three singles are any indication to the remaining tracks, there is going to be so much of herself in this album that people are going to easily connect with and relate to it. 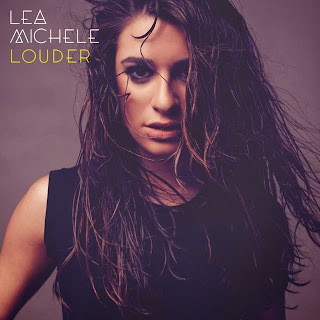 Based on what’s been released to date, I have no doubt that Louder will top the charts – not only because it is musically great, but also because many people will be inspired by it and have their lives changed because of it. What I’ve heard so far... I easily give Lea’s first solo album four and a half out of five and eagerly await the release on March 4, 2014.